HMC values high standards in Quality Assurance, Safety, Health and Environment (QASHE) as much as technical excellence. QASHE is aimed at preventing harm to people and the environment they work in. Being careful is an essential aspect of our business operations both onshore and offshore. HMC's approach to QASHE is based on an integrated management system. HMC employees can access QASHE manuals and tools online and apply them in their daily work. This management system allows us to offer our clients the reliable service they expect and assures them that compliance with QASHE standards is an integral part of the tender and project phases of our work. We guarantee that our suppliers meet our QASHE standards. We expect all our employees to show commitment and demonstrate visible personal leadership in QASHE. HMC implemented management systems as early as 1984. Our integrated QASHE system is in compliance with legal, industry, and HMC standards, certified to ISO 9001, ISO 14001 and OHSAS 18001. By standardizing our processes, we manage our work more efficiently. Our people are expected to use these standards themselves and train new staff to use them too. Regular audits help us continuously adjust and improve this approach. HMC is committed to maintaining an Incident and Injury Free (IIF) workplace at all times. HMC strives to identify and eliminate any foreseeable hazards and minimize the probability of incidents resulting in personal injuries, illnesses, and damage to property and the environment. Our IIF program includes regular training sessions for all operational personnel aimed at raising awareness about the need to uphold recognized safety standards. Anyone who thinks that work cannot be or is not being executed safely has the authority and obligation to halt that work and initiate action to rectify unsafe conditions. Our goal is to create a safe and healthy working environment for our staff, subcontractors, and clients on our vessels and sites. By regularly assessing possible health hazards on our vessels and in our offices and other workplaces we are able to identify and address potential health problems. HMC offshore personnel also receive regular medical check-ups to detect any general or occupational health problems, so that appropriate action can be taken at an early stage. To ensure that HMC personnel are well protected against security threats and to comply with international regulations, HMC enforced several security measures for both offshore and onshore locations. 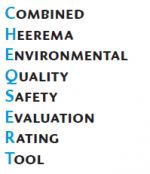 CHEQSERT is a customized rating and assessment protocol designed by Heerema Marine Contractors. This new methodology has been entirely tailored based on the ‘best practice’ of the offshore industry. CHEQSERT covers a framework of controls that together with a structured assessment and rating tool, drive our QASHE performance and the continuous improvement cycle of HMC’s operations. The basis of CHEQSERT is aligned with the Management System Documentation (MSD) and comprises of 13 elements, as defined in our MSD. Every element is designed to ensure that HMC personnel is working according to the MSD procedures and instructions. The focus of the CHEQSERT methodology is on Quality, Health, Safety, Environment and Security issues as required to receive and retain our International Standards certification as ISO 9001, ISO 14001, OHSAS 18001. 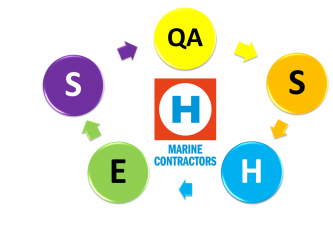 Through the CHEQSERT protocol, Heerema Marine Contractors is continuously working to achieve delivery of projects in conformity with the client's needs and wants.